It has been one year since I purchased my first electric vehicle and I want to share my experiences so far. 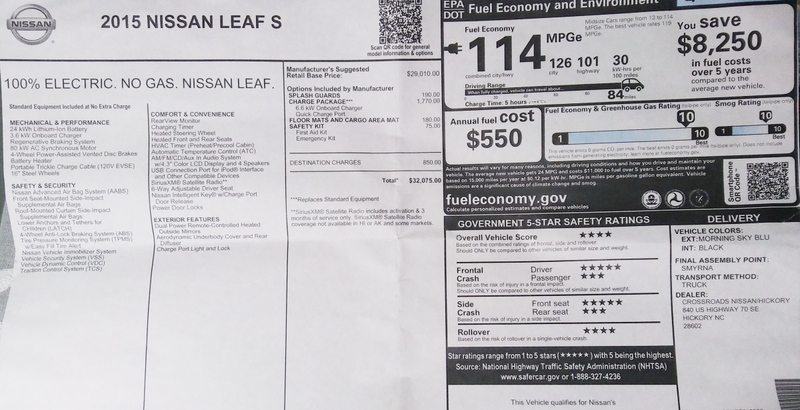 The vehicle I purchased was a 2015 Nissan Leaf. Though used, it only had about 600 miles on it so it was like a new vehicle. Before I write more about the car, let me back up and explain how I got here. I first became interested in electric cars before I was even old enough to drive. 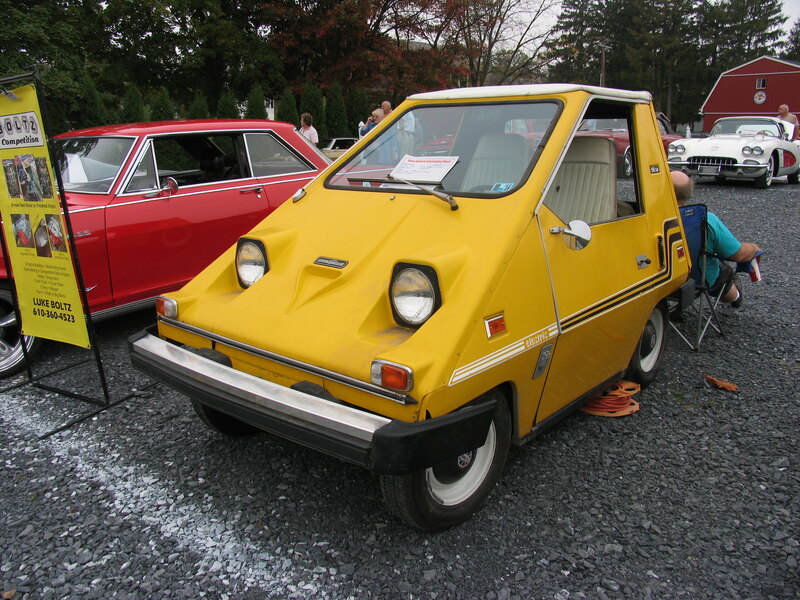 I read about a small electric car that was being produced in the mid-70s called CitiCar. These were produced by a company called Sebring-Vanguard, Inc., which was based in Sebring, Florida. The car was very small and the range was limited to only about 40 miles but worse than that, the top speed was under 30 MPH. Still, I liked the idea of a car that required no gas and had far fewer maintenance requirements. At that time, I figured the technology would improve and in ten or fifteen years time electric cars would have the speed and range of conventional gas engine cars. I’m glad I didn’t bet on that. Even my 2015 Leaf has a range of fewer than 100 miles but it does go quite fast. A year ago I was driving a 2000 Dodge Dakota that got about twelve miles per gallon of gas. I started a new job in February that year that was twenty miles from home so the cost of gas was killing me. My wife had wanted me to buy a new car for quite some time because the cost of maintaining the truck was very high. I kept thinking the problems would stop because I had replaced just about every part in the truck but new problems kept coming. I hated the idea of having a car payment but I slowly realized that it might be better than feeding a money pit. I first started looking at fuel-efficient cars but the gas savings was not enough to justify the expense. Then my mind went back to the electric car and I did some research. I looked for used electric cars for sale in my area and the cost of most were too high considering the age and mileage they had on them. Eventually, I found several cars at a nearby dealer called Lokey Nissan that all had under 1000 miles and were very reasonably priced. 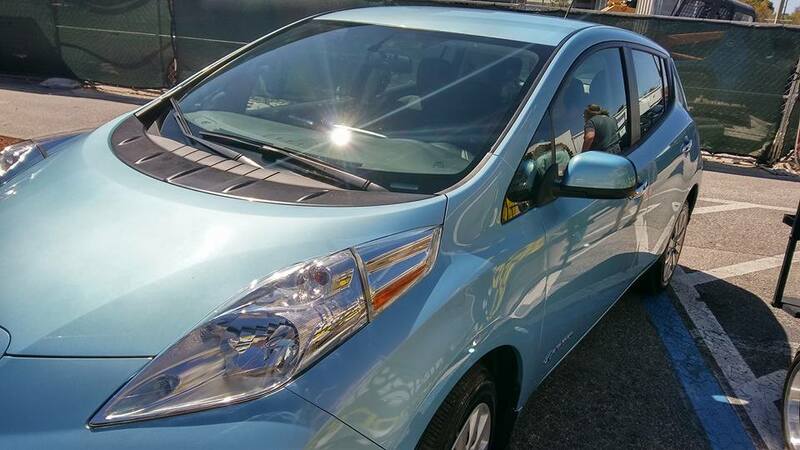 As I said, I found a 2015 Nissan Leaf for a little over $13,000. Considering that the original list price was $32,000, I thought that was a deal that was hard to pass up. In addition, it was much bigger than I expected for an electric car. The Leaf is a four-door hatchback that seats four comfortably and five uncomfortably. It also has rear folding seats and a pretty decent hauling ability. The cost of electricity is a factor that I haven’t fully figured out but if the official estimate is correct then it is less than $50 per month and there are ways to reduce that further which I will talk about below. The main problem with the car is the limited range of about 90 miles or so, although the 2018 Leaf has a much higher range. This has not been an issue for me because I almost never have a need to drive more than 50 miles in a day. If I do, there are options. The main option it to dive my wife’s Mustang. The other option is to charge the car at one of many charging stations in the area. These charging stations are not nearly as numerous as gas stations but their numbers are increasing every year. Level One – This is the charger that comes with the car and it plugs into a standard 110-volt outlet. This is the slowest form of charging and I estimate that it adds about ten percent per hour of charge. This is the only charger I use at home because I have not yet found a need to invest in a Level Two charger. Level Two – This Charger runs on a 220-volt system and charges the car about three times faster than a Level One charger. The only drawback to this is it usually requires an electrition to hook up a special outlet. Level Three – This charger uses direct current to quickly charge the battery. It also requires a different connector. Some cars don’t have both connectors. Mine does. I found it adds about three percent to the charge per minute. The drawback to this is that it is not available for home use and it can be damaging to the battery. For that reason, it is recommended never to charge the battery higher than 80%. I believe it has something to do with the heat generated and a fully charged battery that is hot will lessen its lifespan. 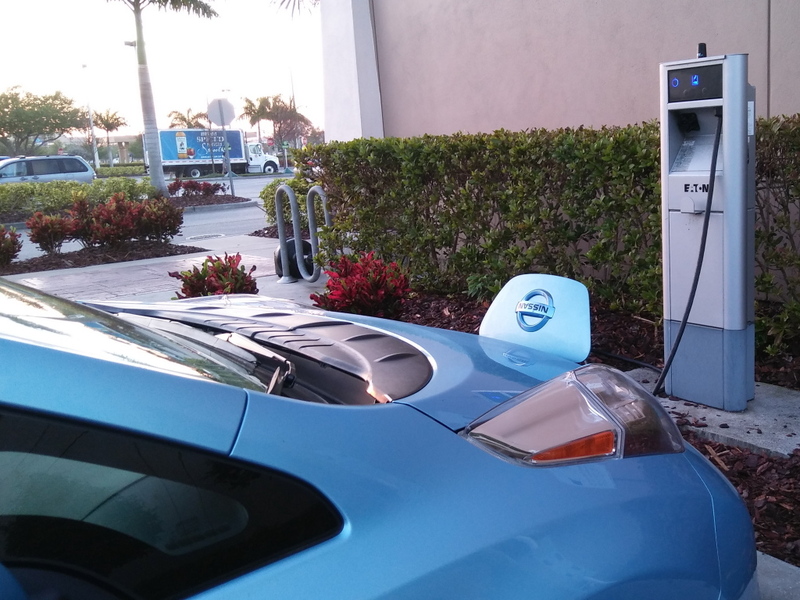 There are several different companies that operate charging stations and their fees vary. I have rarely paid for charging so I don’t have a good grasp of what those fees are but I think you can expect to pay about ten cents per minute for Level Three chargers and about one dollar per hour for Level Two Chargers. There may also be a small connection fee and some may charge by the kilowatt. I almost always charge for free for a couple of reasons. There are many free chargers that are Level Two. Some of these are in city-owned parking areas like at the airport or near city hall. Some are run by businesses and are there to entice electric car owners to shop there. 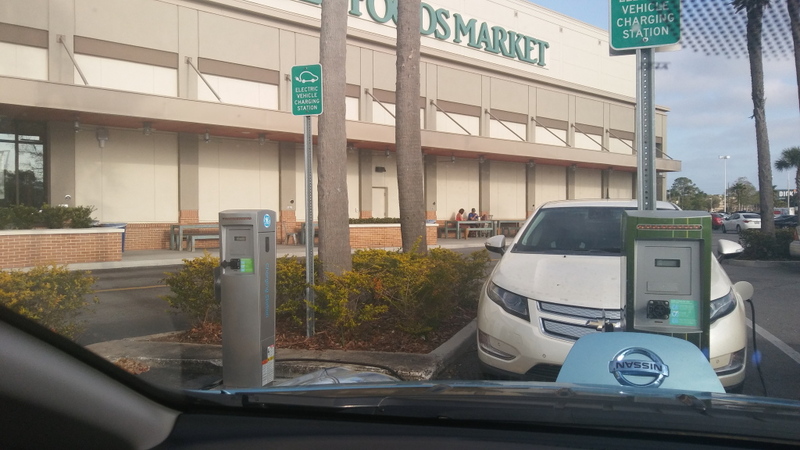 There is a Whole Foods near me that has a couple of free chargers as well as one or two Publix supermarkets. There is also a program from Nissan called “No Charge to Charge.” With that, you get free charging on certain Level Three chargers and, I suppose, Level Two as well for the first two years after purchasing a new vehicle. Since the original purchase date of my car was sometime in 2016, I have enjoyed free charging for the past year. When I need an extra charge, I usually charge at Level Three EVgo chargers that are located at several area Dunkin Donuts. I can then enjoy a nice coffee while I wait for my car to charge. I recently traveled outside my comfort zone to Lakeland, which is 52 miles from home. Once there I charged my car at a Dunkin Donuts so I could get home. There are several things I like about the car. It accelerates quicker than you would expect for a car like this. It is also faster than I expected. I recently tested how fast it would go and had it up to 92. It would have gone faster but I came upon traffic and I also didn’t want to get a ticket. The dash is well laid out and I can see the important things like speed and miles left before empty very clearly. The radio is especially nice for me because I like to listen to my own recordings and it has USB plug as well as an audio in jack. The downside of that is that if a phone call comes in it mutes the sound but it does not pause the audio. My favorite thing about the car is the lack of maintenance it requires. There is no engine so there is no spark plugs, timing belt, distributor, fuel injectors, alternator, or air filter to worry about. There is no cooling system so the radiator is not an issue. There is no gasoline so you don’t have to worry about the fuel tank, fuel pump, fuel lines or filters. There is also no transmission that will cost a boatload of money to replace. I recently brought it in for an inspection and the only thing I needed was to have the tires rotated. Of course, there are things like brakes and tires that need replacing and there is a 12-volt battery that runs the dash and other components that will need to be replaced. I think the biggest expense will come when the main 36-volt battery needs to be replaced. That could cost several thousand dollars. Fortunately, the batteries are more heat resistant than they were on the 2011-2012 models and there is a five-year warranty on the battery. 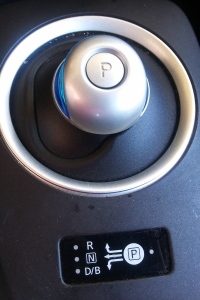 One thing I don’t like is the shifter. It seems backward to me. Even after a year I still sometimes want to push it forward to go forward and pull it back to go backward but that never works out as planned. Another thing I don’t like is the noise it makes when backing up. It sounds like a garbage truck. They say the sound is needed because the car is so quiet that people need more help noticing it but I think the volume could be cut in half. I didn’t notice how loud it was until I lent my car to my uncle-in-law recently and heard it for the first time from the outside. All things considered, I would say this is the best car I have ever owned. I don’t know what I will do when the battery goes. Perhaps replace it or trade it in for a newer model. Either way, I can’t see going back to gas. 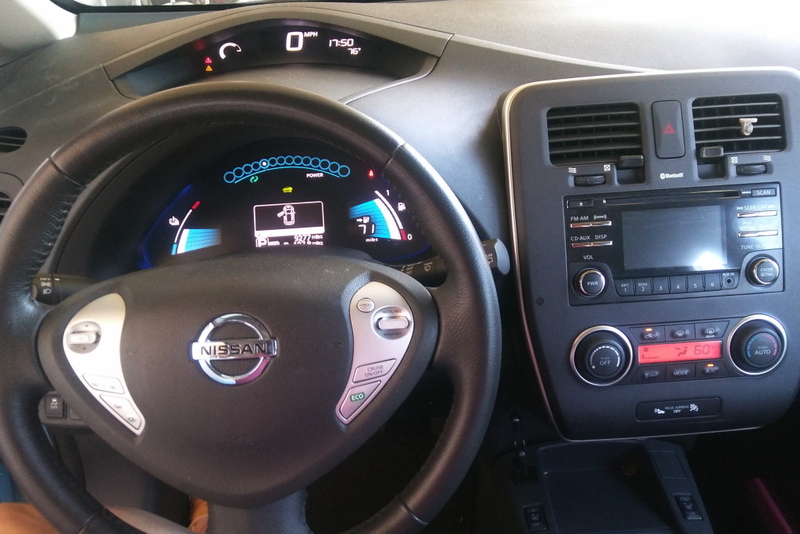 This entry was posted in Automobile, Reviews and tagged electric car, Leaf, Nissan, review on March 19, 2018 by Chuck Huss.